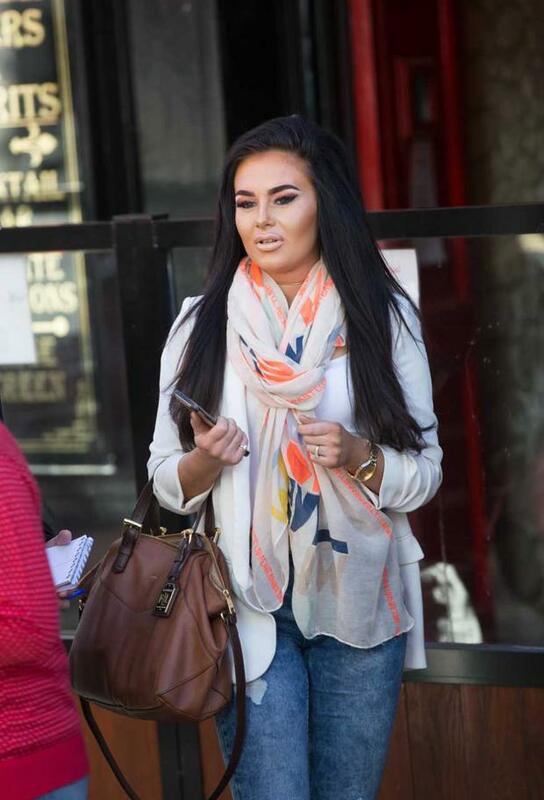 A model, who claimed she had been abandoned and trapped in Kieron “The Wolf” Ducie’s upturned jeep, has settled a €60,000 personal injuries claim against the Motor Insurance Bureau of Ireland, the Circuit Civil Court was told Tuesday. But 22-year-old Emily Doyle Stewart may not receive the undisclosed settlement after Judge Jacqueline Linnane refused to rubber stamp what was described as a practice being adopted more and more by the MIBI that could lead to identified uninsured drivers getting away with paying nothing. Judge Linnane refused to strike out Stewart’s “settled” claim against the MIBI which would have allowed an automatic pay-out by the bureau to Stewart, of Belcamp Avenue, Priorswood, Dublin 17, as well as her legal costs. The MIBI’s pay-outs to uninsured drivers are funded by motorists who legally pay their insurance premiums. Instead the judge struck out the notice of Tuesday’s trial and told the MIBI to “do things properly,” including insisting on proper steps being taken to obtain judgment against Ducie (48) that could eventually lead to him paying some if not all of the MIBI’s liability. Barrister Adrianne Fields, counsel for Doyle Stewart, told the court that the case against the bureau had been settled and could be struck out. Ms Fields, who appeared with Sandra McAleer Solicitors for Doyle Stewart, said she had negotiated with the bureau the best settlement possible in the interests of her client which meant, in accordance with instructions from the MIBI, that the plaintiff would take “reasonable steps” to obtain a judgment against Mr Ducie. The case against Ducie could be adjourned generally with liberty to re-enter. John Martin, counsel for the MIBI, said the practice as outlined by the court was not a practice set in stone and settlements by the bureau were more and more being dealt with in the manner outlined. Agreement in the case had been reached between the solicitors for both parties whereby the plaintiff would make “best endeavours” to get a judgment against Mr Ducie in order to reimburse the bureau. Subject to the court it had been agreed to do it this way. Judge Linnane was told that Ducie had not been served with a personal injuries summons by Ms Doyle Stewart and had not been notified by the MIBI of Tuesday’s trial date and that no effort had been made to serve him by way of ordinary post, obtain judgment in absence of appearance and have damages assessed against him.Ms Fields said she had followed the steps asked of her by the MIBI on behalf of her client. The judge asked why the bureau had deviated from the normal course and stated that the case was not going to be parked for reactivation at a later date to be remedied against Mr Ducie. For some reason Mr Ducie had been ignored all along. The judge’s decision now creates significant problems for the proposed hand over of MIBI funds to Doyle Stewart. In 2013 Ducie and his ex-girlfriend Ann Corcoran received suspended sentences after pleading guilty to drug offences involving Katy French who collapsed at Ducie’s home on December 2, 2007. The 24-year-old model died in hospital four days later. Emily Doyle Stewart was in Ducie’s uninsured jeep when it overturned in January 2016 near his Kilmessan home. In January last Ducie was jailed for five months for having no insurance but is currently out on bail pending appeal.